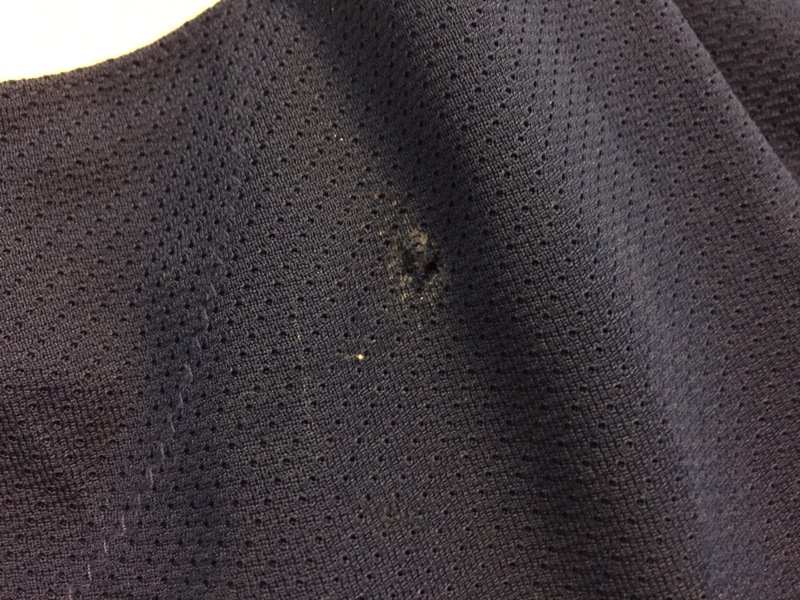 A few board burns on both sleeves. 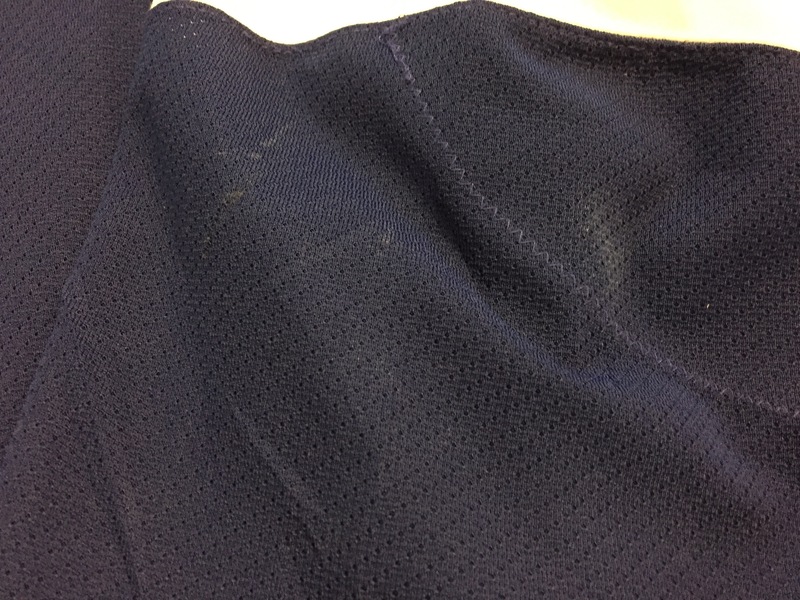 A few faint marks throughout. 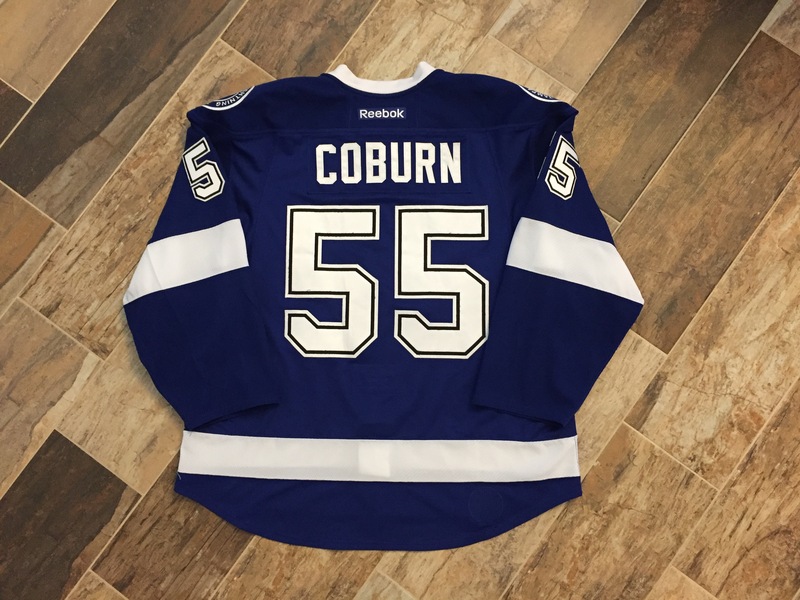 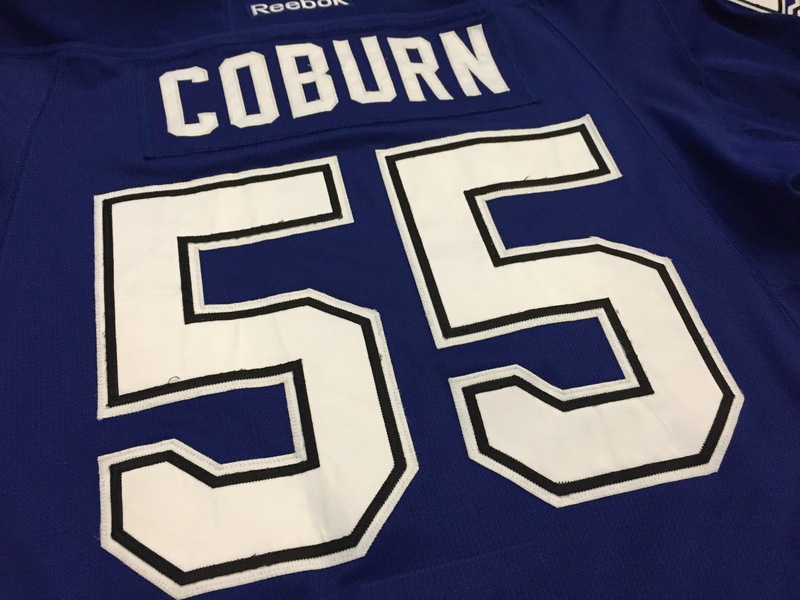 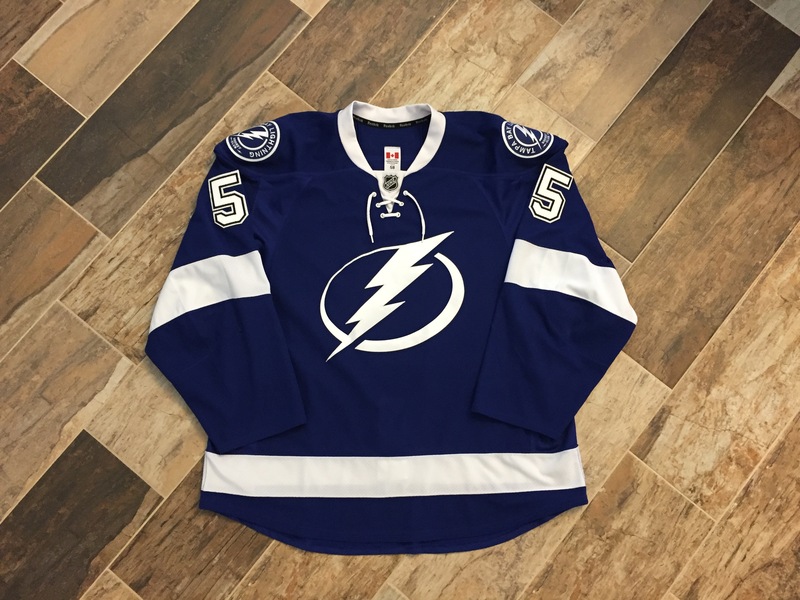 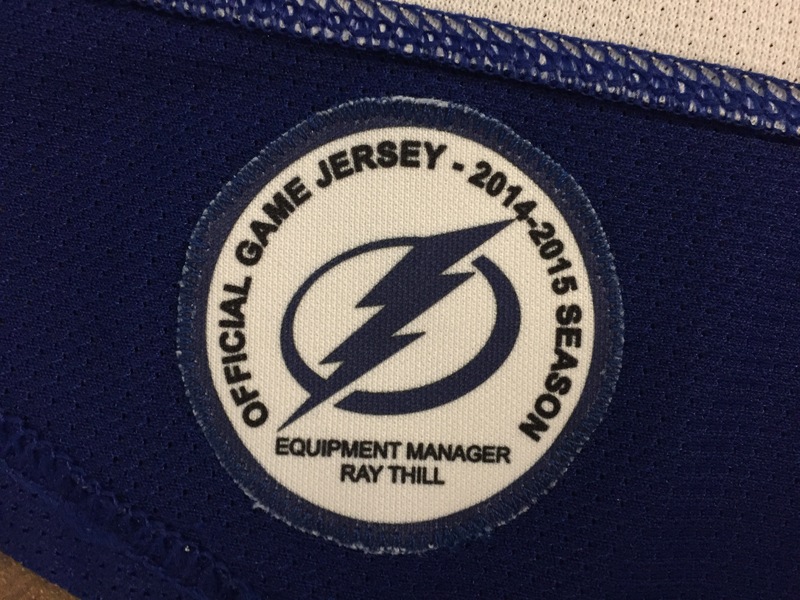 This was Coburn’s first Lightning jersey after the trade to Tampa.